How to start a blog for free and make money: Are you searching online for the ways to earn money staying at home? Do you want a detail guide on how to start blogging from beginning in order to earn Handsome Cash from online? Making money from blog is really very interesting. Here all you need is to create blog and make it more popular by writing useful and great content in order to get good traffic from search engines like google. Then the next step is to convert those traffic into Real Cash! Are you excited? Do not worry about it! I am going to explain easily so that even a child can understand how exactly anyone can make a blog and earn money from it! Read the whole post very patiently! How to start a blog for free and make money from it? Definitely, we expect it to make lot’s of money by starting blogging. So, in this article you will know how to start a blog freely and start making money from it! Read this article til end if you are really serious about to make money online by starting a free blog completely! Yes, you can start your blog on free blogging platform like blogspot.com or i have written an article about best blog sites for beginners where you can start your own blog freely! So, at first you need a blog. You might wanting a free blog. Right? All you need is to go- www.blogger.com and create an account with a google account. The steps is easy you can do it very easily by filling information like your blog name. You can give your blog name like- example.blogspot.com or mynewblog.blogspot.com whatever you like. Now you have a good name for your blog and it is time to write post (content) on your new blog! Right? So, you might be thinking what to write on my blog as i am just starting? Yes, write whatever you like! It can be about your blogging journey, your favorite hobby, or share your knowledge on which you have more experience. Always try to write something meaningful and should be more useful for others. Because you need more traffic to come on your blog for making money from it! So, if you write bad stuff which others are not interested, what’s the purpose behind writing content on your blog? Definitely helping others or providing valuable information! Right? If you do this then people will love to read your blog and by the way you can convert traffic into cash! So, at the time of starting your blog firstly you need to make your new published blog more popular. Creating content and doing proper SEO you can get listed on various search engines and drive more traffic to your blog. 6 Best Off page SEO Techniques you should not avoid if you want Better Rank on SERPs. I am assuming your blog has more useful and quality article and getting good amounts of traffic daily, now what to do? Now you can monetize your blog for making money from it! It was your wish! Right? There are so many monetization methods you can follow! 4) Other Advertising Network etc. Adsense is most liked by bloggers and a lot of bloggers are making good money and some are not as they are not taking right action! I see many newbie like to choose it more than other programs for monetizing their blog with Adsense. You can monetize you blog with Adsense and can make money from it too! Adsense is a Google product and a very trustworthy program all over the internet! OK, for monetizing your blog with Adsense you need to apply for it. You can apply it by inside of your blogger account on “Earning tab”. By filling information correctly like your mail address, Name, blog address, payee name, street address, zip code etc you need to apply for adsense. After submitting your application you will be notified within 3-4 working days about approval or reject matter. After getting approval from adsense you will get all information on your mail inbox, google will tell you about all information. By log in with your adsense account you need to place ad code on your blog. Thus way, when visitor visit your blog and they will see add, when they click on add you will get some commission. By this way, you can make money from your blog. But, here you need to make your blog more popular and when you be able to drive more traffic then you can make good money from your blog. The more Quality content= More traffic= More Ad click = More money!!! So, focus more on creating high quality content and drive more traffic daily if you are serious to make some thing good income from your blog. How to increase traffic on blog | Top working methods to get 1000+ traffic daily to your Blog easily! Do not give up if you fail one time! You need to be more patient on blogging. Always try to be a hard working person and you will see your results soon. I hope you have got this article ” How to start a blog for free and make money from it” useful! Hi Minhaj, i like your article and happy to know you are working for help of others you are such a good person your articles are nice. Thanks brother. As I experienced, Adsense and affiliate marketing is two best methods to earn money from blogging. Blogs are not just for socializing with others but it can also give us useful information. like this just like me I’am a new blogger and this article gave me lots of ideas on how to start blogging to a site or posts. I really love your post. thanks for sharing this and looking forward to seeing more from you. It is a great post on blog making. Thank you sharing this article. It really helpful to everyone. Really it is a nice post and very helpful & useful to all new bloggers like us. Thank for sharing this. I am so glad that you found my blog post very useful! That means a lot for me 😀 You are most welcome! 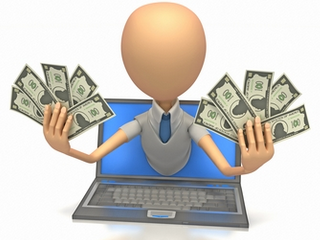 Hi Minhaj, Definitely an awesome article you shared with us about making money from online! Really, it is very useful to me. Love you and thanks a lot for sharing! I am so happy that you liked this post! I really appreciate it! It’s my pleasure! nice article for them who want to earn from online. keep sharing. thanks a ton. Hi, I am thankful to you for sharing this awesome article. this is the blog that provide the lots of good information. Thanks for provide such a good information. Thank x for sharing blog article. It’s helpful to me . keep it up good work dear. Great post. This post gives good insight on what we can gain from blogging. As a new blogger, we want to read positive things like this to keep us motivated. Thanks for the ultimate guide on blogging sir !! Yes, newbie blogger really need motivation to keep up their blogging journey. They get desperate at the very beginning time and stop blogging. So, inspiration is very important here. Anyway, thanks for your comment. Would love to see you Harpreet, often here in this blog! Thank you for passing your blog and share your view. 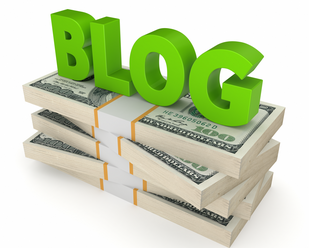 I am glad to read your view on how to make money blogging. Although there’s no shortcut to make money online – it’s hard work, determination and discipline, I like your approach and wish you the best in your journey. I am so glad to see you on my blog 😀 Yes, making money from blogging is not so easy as we guess! There need a lot of work to reach goal! Only hard working person can avail this! Anyway, thanks for sharing your opinion with us. Would love to see you again! but i have a problem , when i am clicks on blogger dashboard on earning tab it shows , your blog is not Qualify for google Adsense, while my adsense is already approved and ads are showing on my blog??? Firstly thanks for dropping your comment! I would ask you, how much post you have on your blog? And, how much old is your blog now? Thanks for the ultimate guide on blogging !! i always against with free blogging, but i do agree we can earn multiple ways with a single blog why i don’t support free blog. we don’t have full authority on free blogs and no guarantee when your blog will be suspended and indeedly i faced this problem wasted my time.. then i purchased new domain and space from godaddy and started a fresh blog. Of course a blog should have unique killer content with good s.e.o on page optimization. Firstly you are welcome and thanks for adding more value in this post! Yes, agree with you! But i wrote it for newbie who do not want to spend money on buying domain and hosting! Anyway, would love to see you again! Very good article on how to start free blog and at the same time make money but I would like to tell that first one must concentrate on building high quality content and then plan the strategy to make money from your blog! See Minhaj I visited your blog cheers! Firstly your are welcome to my blog! Yes, i appreciate your suggestion. Firstly we need to build popular blog with high quality content and drive more traffic daily if we want to make some good money from blog! Without quality content there is no traffic and again without good traffic there is no money! Simple. I already said that on this post. Anyway, i am very glad to see your valuable comment on my blog! In as much as many of us seem to have pass that stage of knowing to start up a blog since we are already bloggers, I do think many newbie bloggers will be very much be grateful for this. Firstly you are welcome to my blog! Yes, i wrote this article targeting newbie blogger who are wanting start a blog for free and make money from it. Definitely they can start their blog from scratch and make it popular.